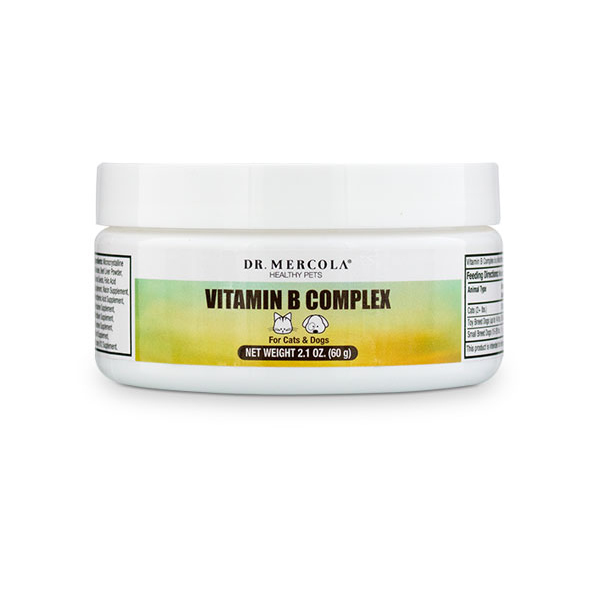 Vitamin B Complex for dogs and cats provides the entire B complex which helps convert food into energy and supports digestion and skin health. 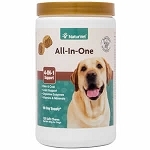 ON CLEARANCE - Take 40% off with promo code "CLEARANCE"
Most B vitamins, with the exception of vitamin B12, are not stored in the body; consequently, they must be supplemented in an animal health product in order to maintain optimal health. Because most B vitamins are water-soluble and not stored in your pet’s body, they must get the entire complex through diet or supplementation each day. Synthetic vitamins are typically used to enrich pet food but are often destroyed by high temperatures and light during processing. Contains the patented Panmol vitamin B complex with concentrations of B vitamins a hundred times higher than what's found in whole grains. The B vitamins are organically bound to the sprouts of quinoa seeds for enhanced bioavailability. The result? Dr. Mercola's Vitamin B Complex are better absorbed in your pet's body than regular synthetic B vitamins. Available size: 2.1 oz (60 g) powder. I mix this product into the food of feral cats I feed. It has made a big improvement in their scratching for fleas and their fur looks a lot better. Essential for the proper function of enzymes, a healthy appetite, and a healthy nervous system, skin, nails and GI function. over 80 lbs - 2 1/2 scoops . Available size: 2.1 oz (60 g - 60 scoops) powder. 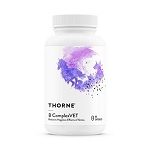 Thorne Research B ComplexVET - Vitamin B Complex for Pets - 60 ct.